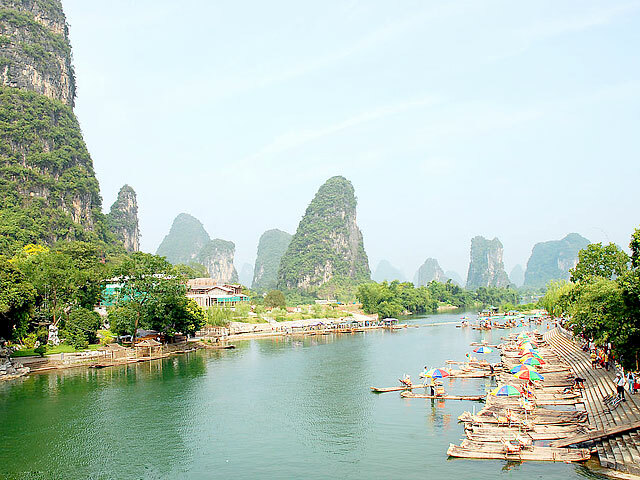 Upon arrival, your tour guide and driver will welcome you at Guilin airport or railway station; then transfer to Yangshuo and check in the hotel. Enjoy your free time after dinner. In the early morning, follow the local Tai Chi master to have a Tai Chi Lesson. After breakfast, cycle to the countryside of Yangshuo for idyllic rural scenes; and there offers a good chance to glimpse into the local farmer’s life. In the afternoon, drive to the nearby village and take your working experience in the fields – this farm working will be different in different season. Get back to the hotel in late afternoon. 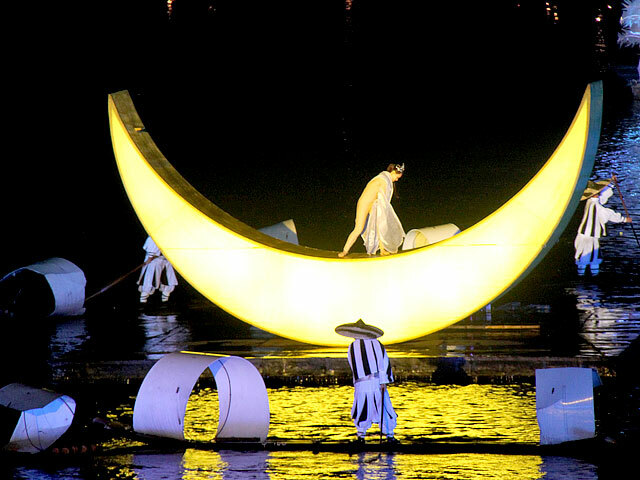 In the evening, enjoy the fantastic show – Impression Sanjie Liu. After breakfast, drive to your walking start point in the countryside. Start today’s trekking; you have the chance to escape from the crowd, hike in a non-touristy area and enjoy the peaceful rural life; the scenery along the trekking route is stunning. Have late lunch in a village. 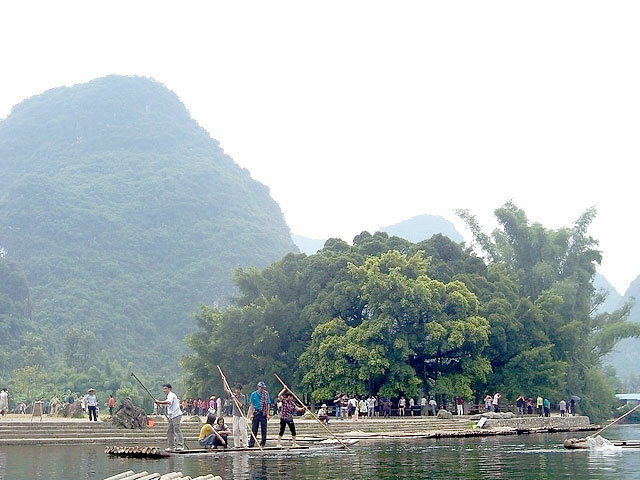 Then transfer to have a leisurely bamboo rafting on Yulong River – a major tributary of Li River. Get back to your hotel in late afternoon. After dinner, enjoy your free time. After breakfast, transfer to Fuli - a 500-years-old ancient town by Li River, for Fan-making Lesson. 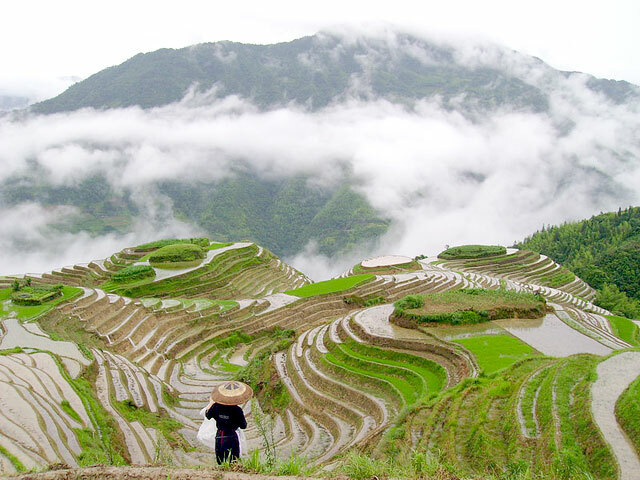 Then, head for Longji Rice Terraces area in Longsheng Country; with, have an excursion there for the terraced paddy fields and ethnic minority culture. The rice terraces there is a fascinating scenic spot for tourists. 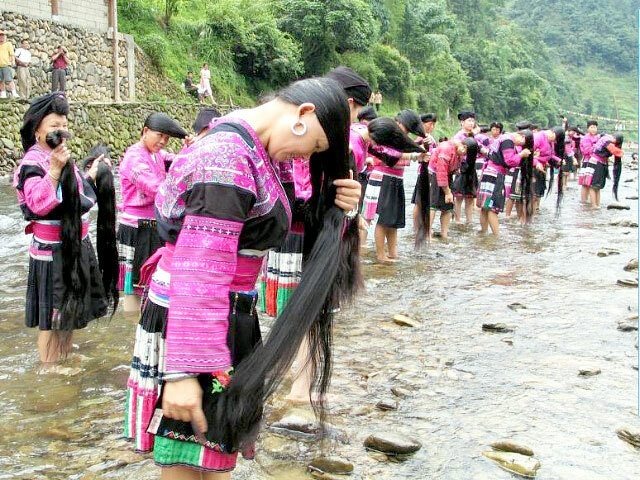 You also have a chance to go close to two ethnic groups - Zhuang and Yao minority and enjoy their colorful tradition and custom. Spend the night there. 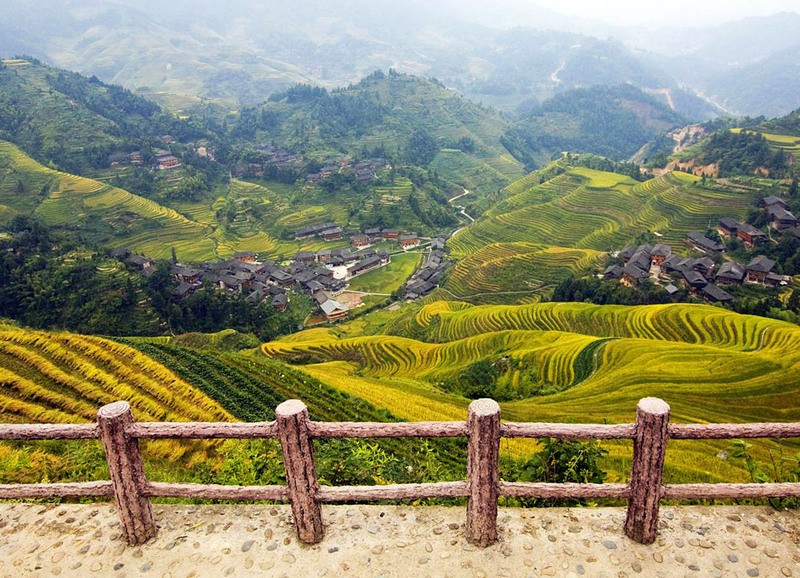 Today we have the trekking from Ping’an Village of Zhuang minority to Dazhai Village of Yao minority. The hike needs more energy; It will take 4-5 hours to cover the 18-20 kilometers long trekking path which has some ups and downs; This is a flagstone path shared by local farmers and buffalo; There allows you to have a better understanding of these mountain tribes and their real life. Then drive back to Ping’an Village in the afternoon. 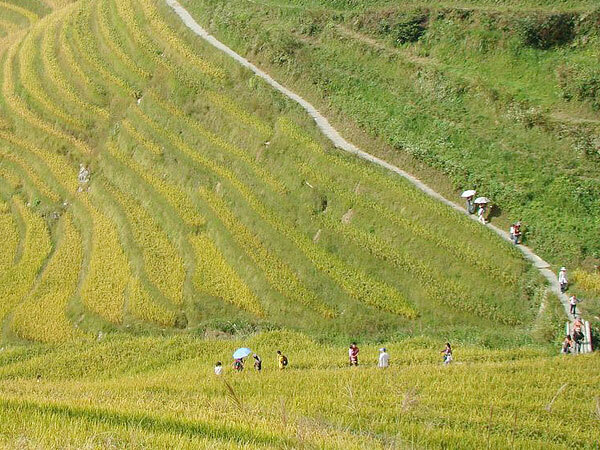 Within Longji terraced field area, there offers a great view at the terraces top. After breakfast, drive 1.5 hours via expressway to Guilin airport or train station for departure. Service ends.